Flowers. You can buy some from a store/florist or make your own bunch from the garden. Farmer's markets often have flowers for sale as well. You can make your own from egg cartons or coffee filters. Compose and sing her a song. Make her a homemade card. Breakfast in bed. It may be best if Dad helps. One time the kids were super sweet and tried to make us breakfast in bed. We had sour cream (they thought it was yogurt) and salad (with zucchini in it). Don't let Mom do any chores for the day! Plan a weekend away. Even if it's not on Mother's day weekend, you can give her the details and it's still a great gift. An e-book reader. Barnes and Nobles usually have plenty in stock at their stores. The Kindle is available at Amazon.com or in some office and electronics stores (Staples, Best Buy). For an added bonus, have some books she has wanted to read already loaded on it! Take her out to eat or cook her dinner. Trust me, it is really nice to eat something we didn't have to make! A bottle of her favorite wine and some glasses. If she already has an iPad, Nook, or Kindle, buy her a new case. Take her to a movie, without the kids! set up a Skype or FaceTime session with her favorite out of town person. A gift card to her favorite book store. Gift card to a spa, or already have a surprise appointment set up. Set up an appointment at a paint-your-own pottery place. 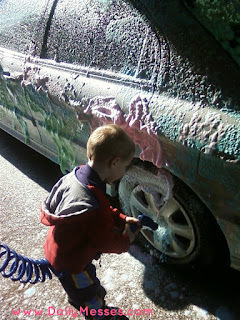 We did this several years ago and it was lots of fun! 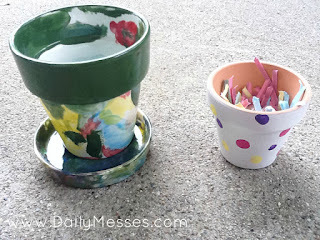 Paint your own clay pots and fill with candy. It might be fun to have everyone's fingerprints (maybe even labeled) on the pots. Buy or make a cake or cupcakes, and let the kids decorate. Donate to her favorite charity. Here is one of mine: Heifer. Give her a digital picture frame already loaded with her favorite pictures (or your favorites of her). 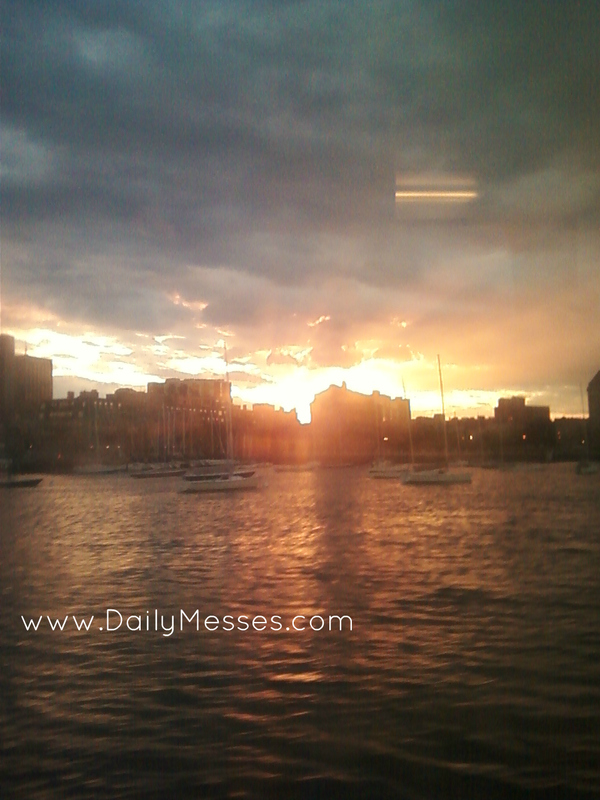 iTunes gift card, CD, Pandora or other music subscription. Gift certificate for zip lining. A photobook. There are some stores that offer same day options. Breakout or another Escape the Room experience. Groupon often has these available. Plant her a garden or build a garden box. Patio ride. 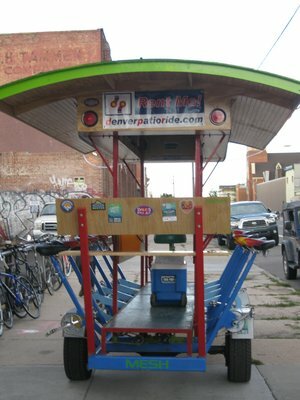 The link is to the Denver Patio Ride, but lots of other cities have these. Google your city and "patio ride" or "peddle wagon". Buy her jewelry with all of the kids initials or birthstones. Have the kids design something for Mom. Chocolate dipped strawberries. Lots of grocery stores carry these this time of year. There are other online stores as well, such as Edible Arrangements. Take her to design-your-own-jewelry store. New bathrobe, maybe with some bath salts. Clean something. Really. We'll take just about anything! Make her a dessert pizza. Paint a picture. Buy a canvas at a craft store and let the kids paint Mom a picture. 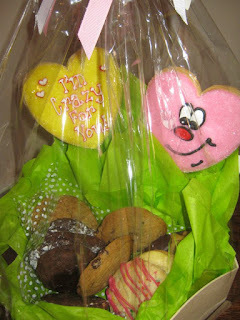 Make your own gift basket. Some examples: favorite kind of coffee and a new mug, bubble bath with bath salts and a robe, wine and glasses, chocolate. Towels...if she wants them. Seriously, my Mom asked for towels one year. Create a picture frame (click here for a video), picture, or message out of Legos. Organize babysitting for a Mom-day. Make clay hand prints of the kids. Many craft stores have handprint kits. Tell her how beautiful she is. Paint a room that she has been wanting changed. Gym membership. I would only do this if she has asked for one! New cell phone or Apple Watch. Buy her a piece of furniture. Especially for kids: make your bed, brush your teeth, clean your room, or clean up the toys without being asked! Write inspirational messages on her mirror (we love you, you're beautiful, thank you). Use something that can be washed off. Here's my post on when we started doing this as a family. Give Mom a hug for no reason. Video your child reading his/her favorite book for Mom. This is super cute, plus it is great for when the kids are older and you can look back at when they were smaller. Or at least pull it out when they bring dates home or at their wedding. Plant a tree, bush, flowers. Change all the diapers for the day. Buy her a new purse. Create (and print) a photo collage. Tell her you love her in a different language. Take her on a hot air balloon ride. Framed picture of you and Mom or Mom with all of her kids and grandkids. Make smiley faced pancakes. Chocolate chips and berries work great for the face! Boat ride (dinner cruise, paddle boat, tour). Airboat ride. We went to Airboat Rides at Midway on vacation several years ago and had a blast! Teach her your favorite game or sport. Buy her favorite flavor of Jelly Belly jelly beans. Some stores let you buy individual flavors. My favorite are the cherry! Watch the sunset with her. Take her swimming or to the beach. Go to the park. Bonus points: Pack a picnic basket and have a picnic in the park! Buy her a book or e-book. Make her a candle. Many craft/hobby stores sell kits. Take her to a game. Do the laundry and/or iron the clothes. If she has a pond, buy her plants or goldfish for it. Buy her permanent flowers (wooden, crystal, bronzed, glass). Get her a pedicure or manicure. Take her to a wine tasting. Plan a scavenger hunt for her. Rent a limo for the day or to go to dinner. Buy her a locket with the kids pictures already in it. There are some lockets that have space for 4 pictures. New car (ok, this one is a little out there!). If she likes to bake, buy her new pans and supplies. KitchenAid stand mixer, and/or fun attachments (pasta, ice cream, meat grinder). Embroidered gift. Get a bag, apron, key chain, etc., embroidered with her initials, name, or the kids names. Love your ideas! Happy Mother's Day to you!